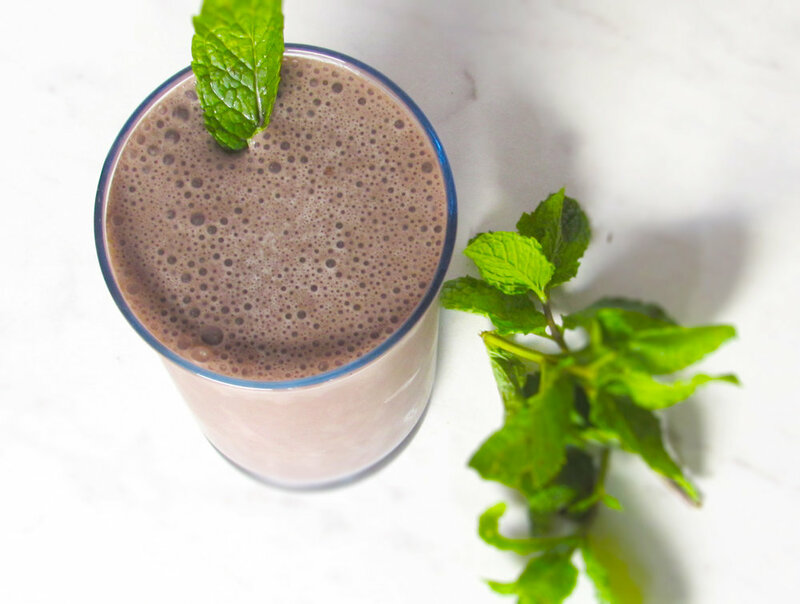 If you like mint chocolate-chip ice cream you’ll love this smoothie! Just-picked mint provides a burst of freshness but you can also use a few drops of mint extract. Depending on the type of milk used, this smoothie is a great source of protein, providing about 25-30 grams of protein! Place all ingredients in a blender and mix until fully combined. Note: the cacoa nibs will not completely dissolve but provide the chocolate chip-like texture!